• Hunter Douglas Silhouette shades with Luminette shades on slider. • Measurements made to ensure the perfect fit. 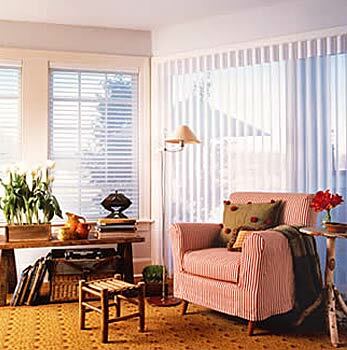 • All window treatments custom ordered. • A free consultation with JR Interiors to decide which treatment best fits your space and lifestyle.